Eastchester Public Library, Chappaqua Library, Larchmont Public Library, Mount Kisco Public Library, Mount Vernon Public Library, New Rochelle Public Library, Rye Free Reading Room, Somers Library, White Plains Public Library, Yonkers Public Library, Westchester Library System (WLS) and WLS HSE (High School Equivalency) Connect! & Westchester Seniors Out Speaking (WSOS) Volunteers. This year’s proposed Executive Budget for FY2016-2017 included $91.6 Million in Library Aid. This amount represents a 4% decrease over the final Library Aid amounts included in the FY2016 17 enacted budget and is 11% less than what is required by Education Law [$102.6 Million]. Our main focus asked for Library Aid to be funded to the full extent of Education Law. Our Advocates spoke eloquently about how libraries continue to creatively adapt to meet the needs of their communities. This year we had a strong group of volunteers from WLS’s HSE Connect! program [that assists those seeking to complete their high school equivalency diploma] and the Westchester Seniors Out Speaking (WSOS) program [that helps adults age 60 and older achieve a better understanding of the benefits provided by Medicare and other related services]. These innovative outreach programs are excellent examples of the evolving role of libraries to partner with governmental and other agencies to better engage, inform and empower their communities. Libraries are education and an excellent example of shared services. They provide educational and recreational materials, access to high speed internet service and programs that focus on digital literacy, early childhood education, and online/virtual learning to all. These tools allow people to build their own learning opportunities to help them reach their full potential and transform their lives. 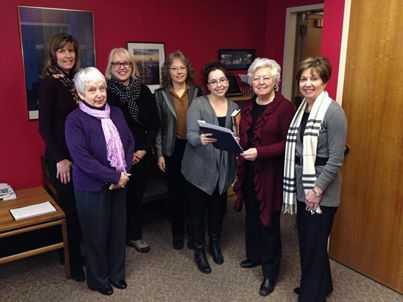 Continue to let your Legislators know that supporting an increase to Library Aid is crucial. There is still time — click here for NYLA’s Online Advocacy page today! A group of 23 library supporters from Westchester car pooled up to Albany to join the New York Library Association’s (NYLA) Library Advocacy Day on Tuesday, March 5th. 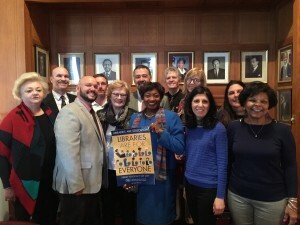 The group was made up of directors, trustees, and staff from all of our member libraries, as well as Westchester Library System and Westchester Library Association. 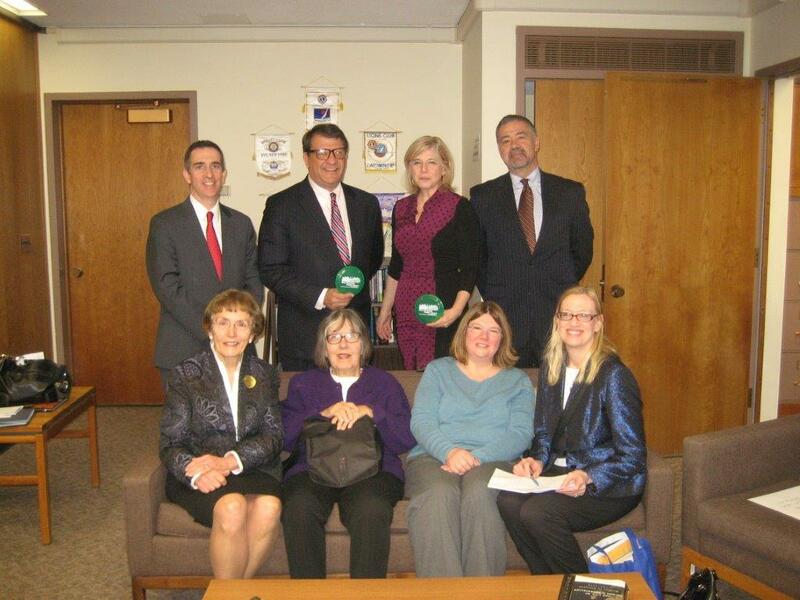 We visited the offices of the 14 legislators who represent Westchester County. This year’s emphasis with all legislators was restoration of Library Aid to $102 Million vs. the $89.9 Million included in Governor Cuomo’s Executive Budget. WLS President Dave Donelson sums it up best in his blog post. Library advocates from across New York State filled up the Legislative Office Building’s “Well” at the Rally hosted by NYLA which featured speakers Senator Hugh Farley and guest speaker David Vinjamuri. A special thank you is due to this year’s great group of Library Advocates. All contributed in some way—sharing insightful success stories from their libraries, taking pictures, driving, writing, tweeting, participating! 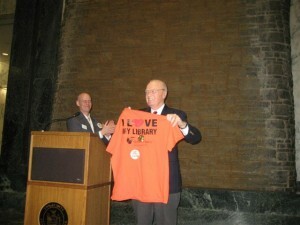 Since our visit, the Senate has included a proposed restoration of $4 Million in Library Aid for the FY 2013-14 Budget. However, the NYS Assembly has not followed suit, including only the $89.9 Million the Governor proposed in his Executive Budget. There is still time to contact your legislators! Check out NYLA’s Virtual Advocacy Effort page for resources to show your support for libraries via social media as well as NYLA’s Online Advocacy page to contact your Assemblyman. The deadline for an on-time budget is March 31st. Libraries do provide essential services—let’s be sure our legislators understand the value they bring to New York.